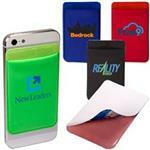 The VIP Card Holder - a bargain iPhone wallet that is a great tradeshow giveaway. 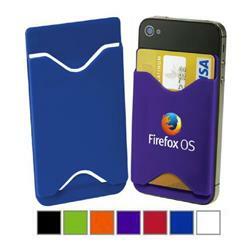 This phone wallet card holder is sure to be a winner for any custom giveaway. 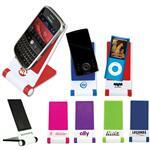 It will hold one credit card/identification card or up to 5 business cards. Larger iWallets are available. 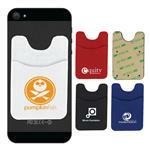 There is adhesive tape on the back which allows for easy application on most flat-backed smartphones. Media device is not included. RUSH AVAILABLE!